In the Southern Hemisphere, the temperature starts dropping around May. 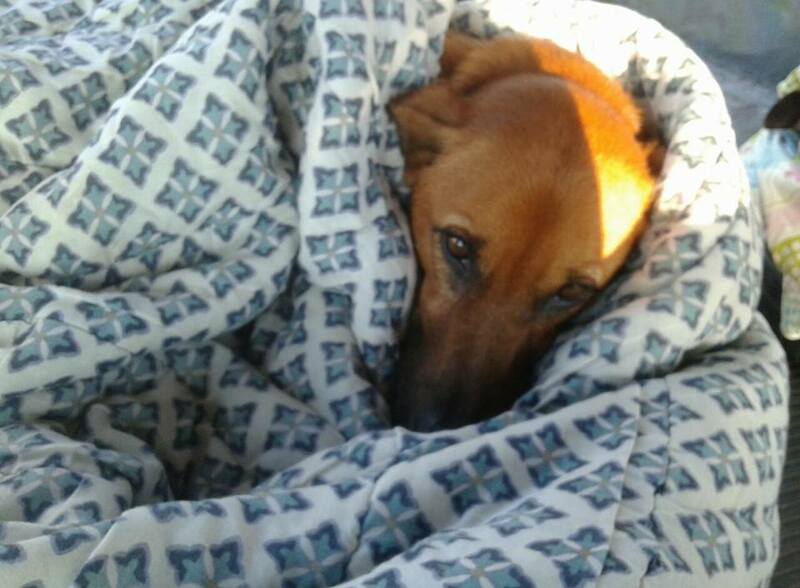 This is a tough time for stray dogs who have no warm place to call home. These dogs are forced to sleep out on the cold streets, trying their hardest to keep warm. 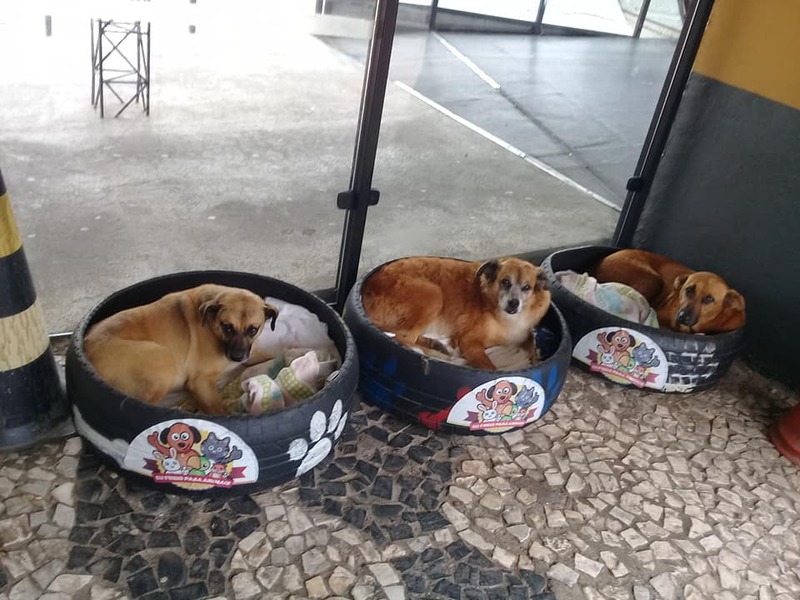 The staff at the bus station in Curitiba, Brazil decided that they wanted to do something to help these stray dogs. In May 2017, the staff noticed there were three dogs who often roamed around the street near the bus station. It was unclear if the dogs were abandoned or if they’d always been strays. The staff decided to make beds for these three dogs, who they named Max, Pitoco, and Zoinho. 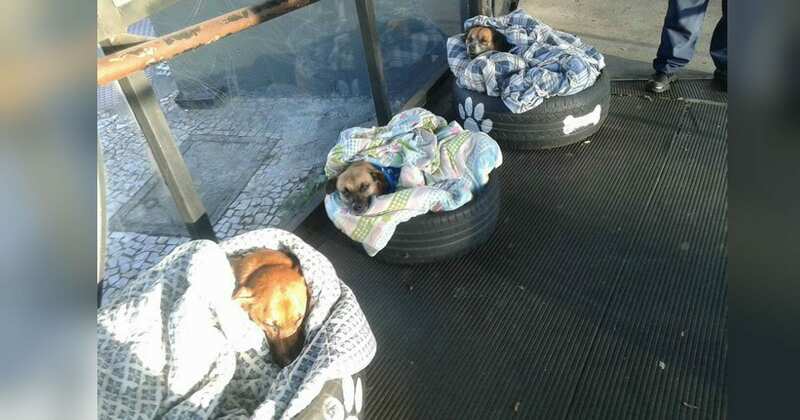 The bus station staff cleverly used old tires to make the beds. They painted cute dog paws and bones on the tires, and then they put blankets in the center of the tires. Once the beds were ready, the staff let the dogs try them out. The dogs loved them! Soon, the dogs began spending most of their time in the bus station. The staff put out food and water for the pups, and the hungry dogs gratefully ate everything they gave them. They also spent lots of time napping in their comfy beds! News about the bus station’s act of kindness quickly spread around Curitiba, and local politician Fabiane Rosa decided to stop by and check it out. Rosa, who’s an animal lover, was touched by the bus station’s kindness. Rosa’s Facebook post quickly went viral, receiving over 11,000 shares. 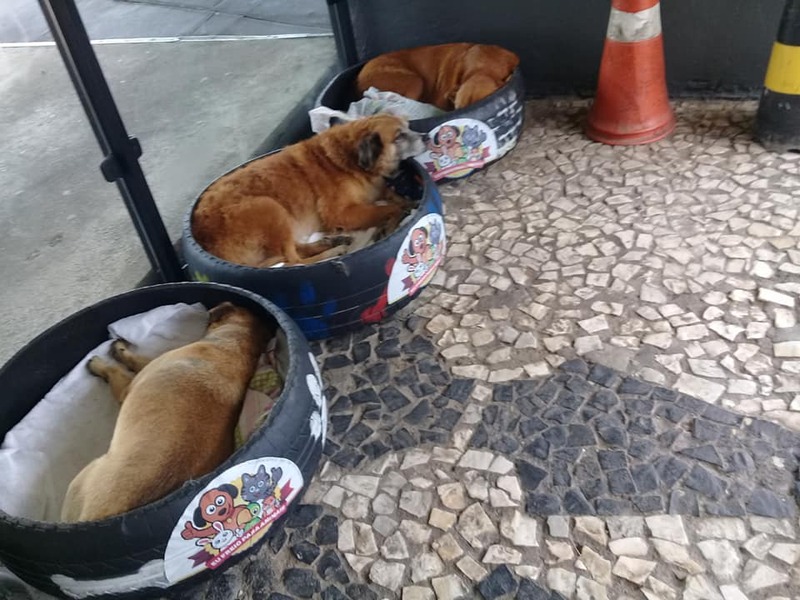 Everyone was touched by the way this bus station showed kindness to three dogs who didn’t have anyone else in the world. It has been almost three years since the post went viral, and Max, Pitoco, and Zoinho are doing great! 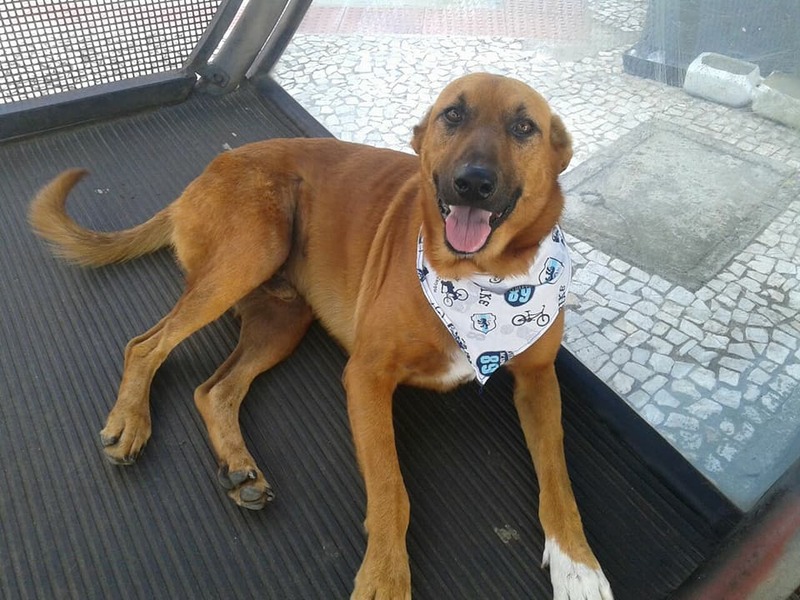 The dogs still spend most of their time at the bus station, and the staff and volunteers take care of them. One volunteer, Neusa Dos Santos, shared a video of him and his partner giving the pups a bath. 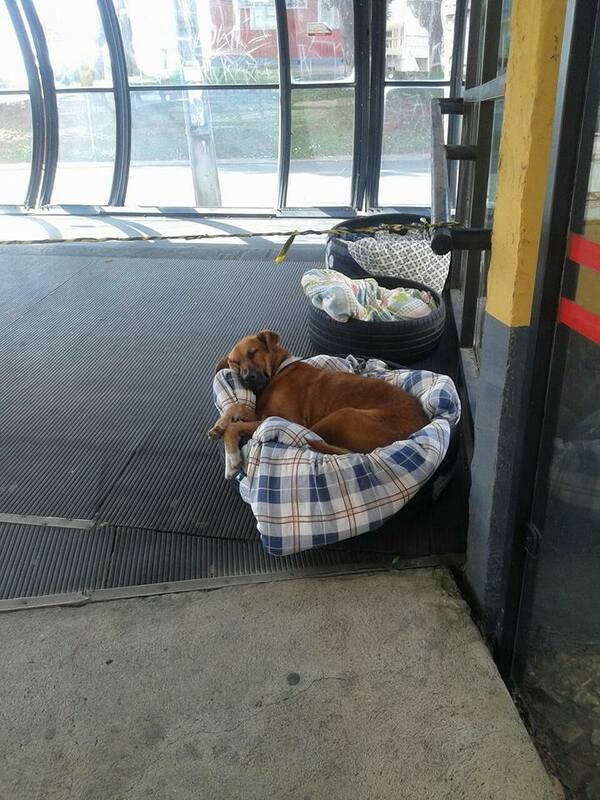 The dogs still love sleeping in their tire beds, and during the day, they enjoy roaming around the bus station. 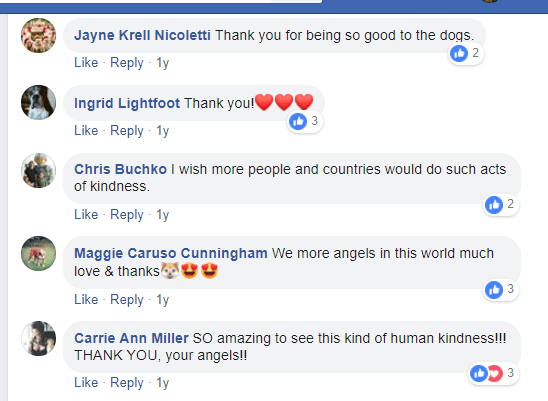 The dogs are well fed and very happy—they have a whole community of people looking out for them. 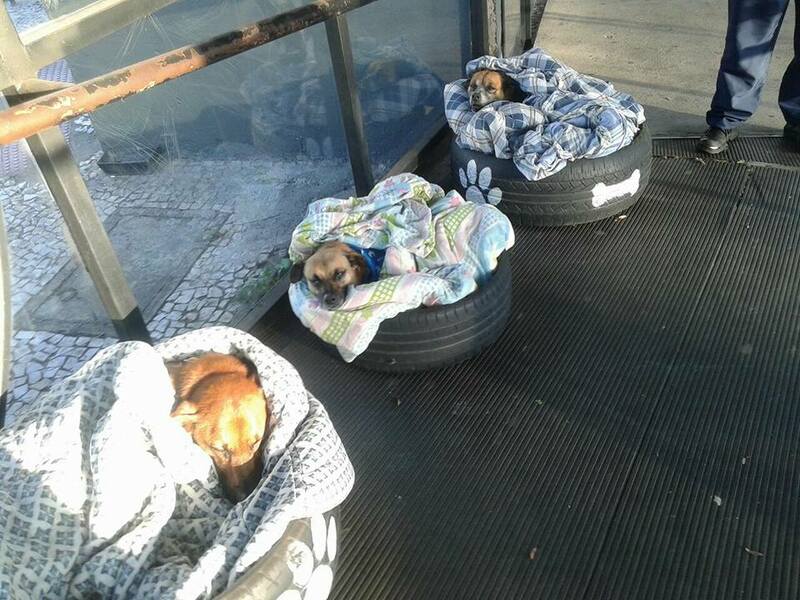 When these three dogs first arrived at the Curitiba Bus Station, they were hungry, tired, and freezing. Now, the pups are happy and have a great place to call home!